It might not be considered a spring training mecca, but just over 100 years ago, a small town in Kentucky played host to Honus Wagner and the Pittsburgh Pirates. Now, a rare team photo taken in the town of Dawson Springs during one of the Bucs’ three seasons in the area is among the highlights at RMY Auctions this month. The mounted photograph measures 8×10 and features Wagner (back row, fourth from the right) in the waning days of his legendary career. Also shown are fellow Hall of Famers Fred Clarke, who served as player-manager, and Max Carey, whose lengthy career was just beginning. According to RMY, it is the only known example of this image that has ever been offered for public sale. This specific example was previously sold by Hake’s Auctions for $1312.43 in November, 2014 as part of the Richard Merkin collection. The image captures a team in decline following their 1909 World Series win over Ty Cobb and the Detroit Tigers. While still posting a winning record, they were no longer contending for the National League pennant. One bright spot on the team was pitcher Babe Adams who posted 21 wins and a 2.15 ERA. 1913 was also noteworthy as the last season Wagner batted .300. It would not be until 1925 that the Pirates would be world champions again. The image itself gives a glimpse into early 20th century life in the western Kentucky town. The Pirates are posed in front of the Dawson Salts & Water Co. Some of the visible period advertisements promote ‘Hamby’s Well’ and ‘Optimo All Havana Cigars’. 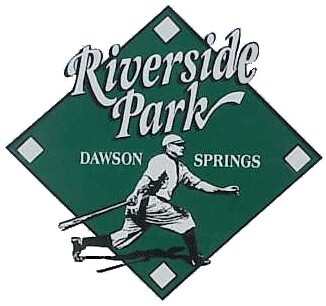 Dawson Springs was one of several southern spa towns that major league clubs had frequented since the late nineteenth century to get their players in shape for the season. The Pirates played in Riverside Park from 1914-17 before moving on to Jacksonville, Florida. Riverside Park was then the spring destination of the Boston Red Sox and Cincinnati Reds in the 1920s before being destroyed by flooding in the 1930s and rebuilt in 1999. Bidding for the photo–and hundreds of others in the online catalog–continues through September 16 at RMYAuctions.com.